Note: To properly RX this workout you must wear a 10kg weight vest but unless you have done this before & under 35-40mins then don’t even ask. Scale accordingly and think back to Monday’s 10min Cindy to see if even attempting this is an option. The push-ups will get you, so if you think you’ll struggle with 200 then start on your knees, as even if you go to knees for the last 20 only then that is your scaling and you’ll write KPU on the board. Full Murph with both members running the 1600m together but you will split the pull-ups, push-ups and squats evenly. Therefore 10 Rounds of Cindy each, alternating with one person working while the other rests. Due to the length of this workout we will be kicking each WOD off at 7.40am, 8.40am and 9.40am respectively so ensure you are at the gym on time (perhaps even a bit earlier) as you will have a small warm-up to complete as well as setting up your bands/sweat towels/score pads & need to be ready to go. Have your hands taped if need be, ensure you bring a drink bottle and be pumped to go. 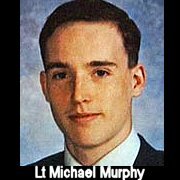 Good luck and think of how far you’ve come as even thinking about attempting to complete the 1/2 Murph is a huge achievement. We will celebrate our victories at the Left Bank from 7pm. All welcome! And what are we doing with the rest of the time?